Dole Foods Inc., or most simply known as Dole, is the largest producer of fruits and vegetables in the world. They offer a wide variety of products including fresh and packaged fruits, frozen fruits and juice products, among others. Dole has teams of growers, processors, packers, and shippers. For information about the Dole application process, read on below. Hawaii Pineapple Company was founded in 1901 after James Dole opened his first pineapple plantation in Oahu, Hawaii. Its origins date back much further to 1851 when Castle & Cooke was created and became one of the largest companies in Hawaii and specialized in various industries including sugar production and seafood packing. 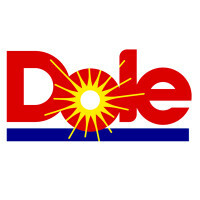 In the 1960’s, Castle & Cook took ownership of Hawaii Pineapple company and renamed it “Dole”. Today, Dole is headquartered out of Westlake Village, California. They employ over 74,000 people for full-time positions and seasonal positions. They handle over 300 products in 90 countries across the globe. Dole has founded a nutritional research and education foundations named “Dole Nutrition Institute”, and a founding member of National 5 a Day for Better Health Program”. Dole is a company that is also looking to reduce their carbon footprint, and ensure that they use agricultural methods that conserves water and conserves the soil to ensure it stays healthy. This company is one that wants to ensure that all people, whether they are direct employees or work with associated companies, are treated ethically. People are their priority and they believe in honest practices and encouraging nutrition globally. There are many cogs in the wheel of this company, with many different divisions for employees to look at. There are positions at the manufacturing plants and at the corporate office, as well as sales personal to get products out there. There are many options for a Dole career at this company. Plant positions include maintenance, production supervisor, and compliance analyst. The corporate office also has many different positions available that can appeal to anyone of any type of skill or talent. The corporate office is out of Westlake, California and working at the corporate office can sometimes offer its own unique perks. Corporate level positions include human resources, payroll coordinator, and technical services representative. With the variety of positions at this company, there are a vast range of requirements to obtain employment here. Some positions may not require any education or experience while others will require at least a college degree. How old do you have to be to work at Dole? You must be at least 18. Dole has exception benefits for their industry. In order to have access to these job benefits, employees must meet the qualifications like hours worked weekly or time with the company. Some employee benefits are medical, dental, and vision plans. They also have access to employee matched 401(k) plans, life insurance and disability insurance. Dole is a manufacturing and farming company that has operations that go for 24 hours a day, 7 days a week. However, there may be departments that are located within the company that may have separate hours of operation. If you would like information, you can contact the company for details. District Manager- The district manager will work under the senior district manager and is responsible for maintaining daily business with current customers. They are also responsible for developing new business opportunities. They must ensure that there is a constant flow of Dole products going to customers and meeting their sales goals. A district manager could earn around $100,000 a year. Financial Analyst- A financial analyst is responsible for generating financial reports and submitting them to management. They will also be responsible for providing analytical support to corporate and farm operations. The financial analyst will support monthly forecasts with other departments and supply information about cost savings. A financial analyst may earn around $55,000 a year. Production Supervisor- A production supervisor is responsible for supervising production, processing, and sanitation activities to ensure items are being produced in a safe environment. They must ensure that only safe and quality food products leave their plant. They will also be responsible for training new employees. A production supervisor may earn around $50,000 a year. Staff Accountant- The staff accountant is responsible for completing and filing of sales and use tax, as well as any other tax needs. They are also in charge of assisting the corporate staff with any accounting needs they may have. They will also assist auditors with any information that they may need. A staff accountant may earn around $56,000 a year. These are some of the questions that you may be asked during your Dole job interview. What brought you to apply at Dole? The interviewer is looking to see what has drawn you to work at this company. Discuss your reasons for applying and why you feel that you are a good fit to work at Dole. Why did you leave your previous employer? The interviewer is wondering your reasoning for leaving to ensure that you are someone who will not just jump from company to company and are serious about working for. Answer honestly about why you left, but be careful what you say about your previous employer and stay positive. Do you have a passion for nutrition? This company takes nutrition very seriously, and the interviewer wants to know if this is something that interests you. You should answer this question honestly, and mention any interest you may have in health or nutrition. What does quality mean to you? This business wants to make sure that their products match up with their high standards of quality. The interviewer wants to see if you share this particular value. Discuss the importance of quality products being shipped out to your customers. Was there ever a time when you had difficulty working with someone? Realistically, everyone does not get along. The interviewer wants to see how you handle work with someone you may not like. Mention honestly about what you would do, and how you overcome not liking someone to accomplish a similar goal. A job seeker may wonder how to apply at Dole. If you are interested in a position here, you can apply directly online at Dole jobs online. You may also fill out an application form at your nearest Dole location. You will be unable to find a downloadable application or printable application online. If you perform a job search on the company website, they do offer information on the job descriptions and responsibilities for the available positions. You can use this to help you find the right job for your particular skills and talents. You should remember to fill in your application completely and submit your updated resume along with it. Depending on the location that you applied at, it could take up to a month or two in order to hear back from the company. If this amount of time has passed, you can contact the location that you applied at. They can inform you of whether or not they are still hiring for that position and check the status of your application. It would be wise to prepare for your interview beforehand. To do this, ask yourself questions in front of the mirror or have a friend ask you potential interview questions. This will help you walk into your interview with more confidence. You will also want to dress professionally to give off a serious first impression. All of these things will increase your chances of getting the job that you want. Chesapeake Energy: Visit the job application for Chesapeake Energy to apply today. Spherion Staffing And Recruiting: For employment at Spherion Staffing And Recruiting visit the application page. U.S. Xpress: Use the U.S. Xpress job application to apply here. Nicor Gas: See this page for jobs at Nicor Gas. Long Island Power Authority: Visit the job application for Long Island Power Authority to apply today.